Catch Digital is a full service digital agency, providing a range of services, such as online promotional strategy, SEO, mobile web consulting, and social media management, across US and European markets. The agency uses Drupal for website development, and counts Rimmel London, Caterham Cars, Zoological Society London, and Sally Hansen among its customers. 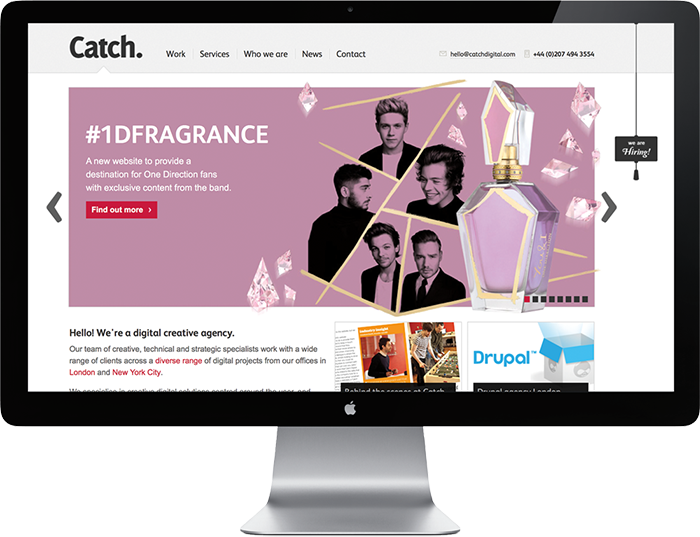 With the help of Fastly, Catch Digital recently launched One Direction Fragrances, a responsive ecommerce store built on Drupal that showcases exclusive content for One Direction fans. 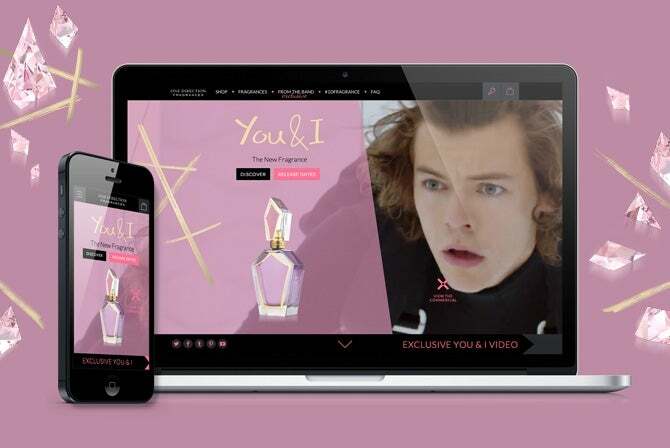 The One Direction Fragrances ecommerce site required a CDN that would give the Catch Digital team increased control over their cache configurations. They were excited about Fastly’s use of Varnish, a state-of-the-art web accelerator designed for high performance content delivery, and Fastly’s Drupal module, which made setup easy. Catch Digital actually worked with Fastly’s knowledgeable customer support engineers to improve Fastly’s Drupal module; read more about their work here. Fastly is built on Varnish, which allows for high-powered content delivery including the ability to instantly purge content across its global network. Using Varnish Configuration Language (VCL), Catch can customize their Fastly configurations, resulting in more intelligent caching. When visitors to One Direction Fragrances’ online store begin adding items to their baskets, Catch Digital needed to ensure that Fastly wouldn’t cache the shopping basket page. Through VCL in Fastly’s Drupal module, Fastly looks for a session cookie in requests, and either serves the user the requested page from the cache if there’s no cookie or sends the request to be served from the origin if there is. Catch Digital uses Fastly to configure multiple domains, which lets them easily test changes to their sites. With one site as the production service and the other as a development environment, Catch can preview any potential changes, ensuring that updates won’t adversely affect the site’s performance. Fastly’s ability to instantly purge content enables businesses to cache anything, including the dynamic content found within One Direction’s fragrance store. When the store was promoted to One Direction’s 20 million Twitter followers and 34 million Facebook fans, the site experienced a 25x spike in traffic. With Fastly in front of the site, Catch’s infrastructure was able to handle the increase in traffic while maintaining performance. Achieving such high cache hit ratios significantly improves the experience for visitors to the One Direction Fragrances website. With Fastly, the agency can serve nearly all content from the edge instead of origin, which improves site performance for millions of One Direction fans globally.